See the detailed List of No Man's Sky development Updates with patches for PS4, Xbox and PC. Learn about Hermetic Seal and Atlas Pass in No Man's Sky Game. This article is about the detailed information of all the updates of Hello's action-adventure video-game known as No Man's Sky. Hello Games published this renowned game for multiple gaming platforms like Microsoft Windows (PC), Xbox One, and PlayStation 4. It can be called one of the most popular survival game of 2016 as the company claims to have sold more than one million copies around the world. This cross-platform action game has done a business of billions in the market. Exploration, Survival, Combat, and trading are made the four basic pillars of the game. 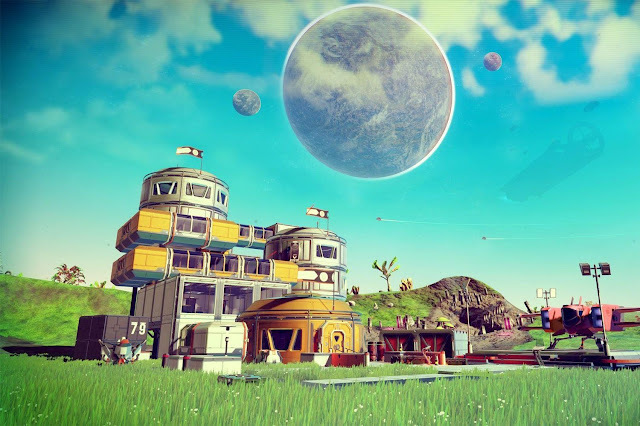 No Man's Sky has introduced a procedural generation system through which a player can play in an open world environment. There are more than 18 quintillions planets in the gameplay, and every one of it has its own different ecosystem. The player can improve his stats by advancing in the game, for this he will have to explore different planets and mine for power resources which will improve its tools, and spacecraft powers. Every planet's ecosystem has a unique Animal and plants life system called Flora and Fauna. This amazing sci-fiction game was developed in three years, a small dedicated team of developers from hello games worked on it with a help of Sony Interactive Entertainment. 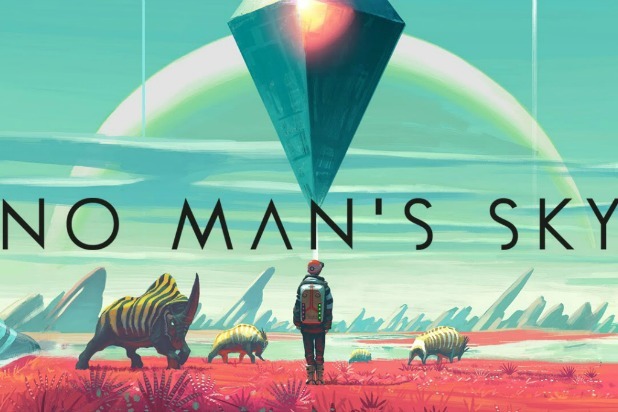 No Man Sky features multiplayer gaming mode along with single player mode which makes it more interesting. Although many people criticized its gameplay and several other features still many encouraging reviews were given to the game in which its procedurally generated universe and ecosystem was praised a lot. Hello Games faced a serious setback in its player base due to unavailability of features they promised prior to the launch and also they didn't communicate when will they be available for the users. Marketing of its release was also done in a very unprofessional manner. The company didn't give up on the project and kept on improving this game for their users. They gave out several updates each with an improved version of the original edition. They introduced many features in the updates like base-building, space fleet management, and surface vehicles which were not available in the initial version. With a firm objective of expanding and improving this game, Hello-Games has successfully achieved a cult following from its existing players. As this survival action-adventure has a list of updates released and published so it's important to discuss them all. There are total 9 development updates released by the company each one having some unique improved features. Many elements of the gameplay were improved in each release with the objective of improved and better edition. We will discuss each one of the updates in a brief detail. Many sub-releases were given out for this first amendment to the original edition. It was released for all the platforms (PlayStation 4, Xbox One, PC). It addressed many types of issues and enhanced various features. It was also released for PlayStation 4, Xbox One and PC. Was released in various patches each addressing several technical features of the game. Made available to the public in many phases (patches). This one was also for all the three platforms. Its main focus was to complete unavailable but pre-promised features of the game. Released for Xbox One, PlayStation 4, and PC. It was released in patches like Next patch 1.58 and Next Patch 1.67 etc. Atlas Rise, Path Finder Patch, Foundation, Vision were some of the other updates for this game. In the gameplay whenever your starship gets damaged you can use the hermetic seal to repair that damage. This is an element of the game having high-performance sealing attribute very useful for the players. Players are allowed to built this using a blueprint along with some resources. It is so powerful that it can resist any type of environment in order to protect your starship from any damage. The players love this element and the features they enjoy by using it. In simple words, Atlas pass is a key card that can unlock many types of doors and gateways in the game. They can be used to unlock storage containers placed in the game, to find them you will have to get yourself a blueprint and then crafting skills to make one. There are three types of Atlas Passes i.e. V1, V2, and V3 each having unique features and unlocking capabilities in the game.